The Free P4 Series Multi-Purpose Pliers were designed for maximized comfort, durability, and ease of use. This Free P4 model sports a 21-in-1 design, housed in a lightweight silver finished handle. All tools open with one hand, and lock up solid for secure use. 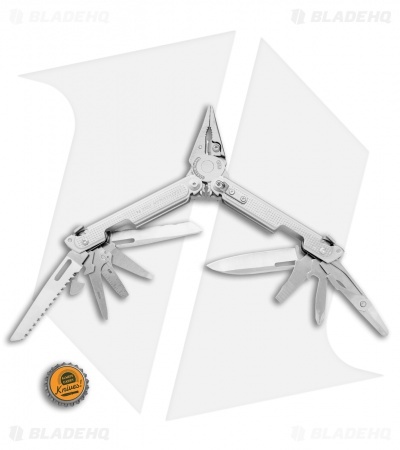 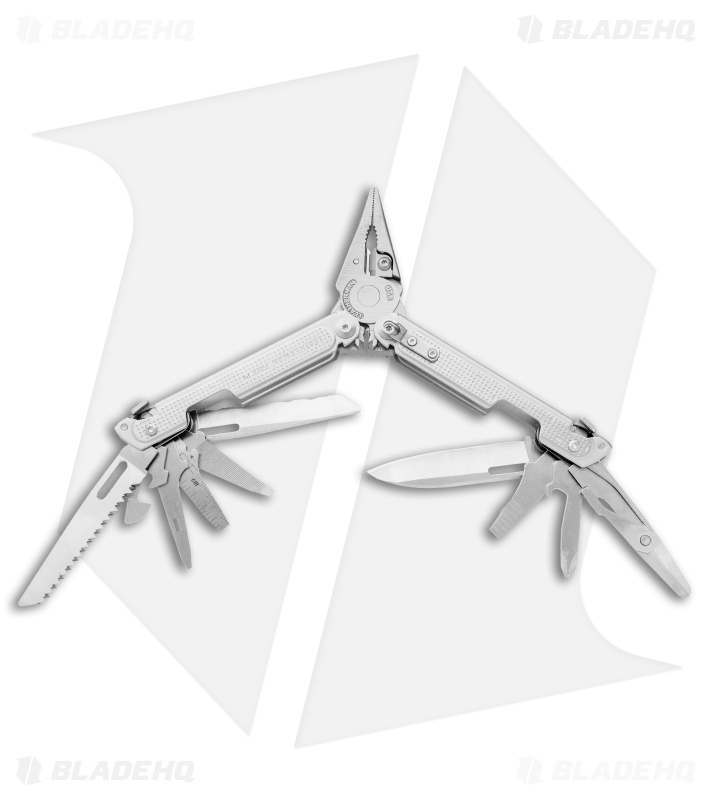 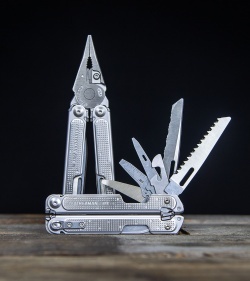 Check out our Leatherman FREE blog post to see exactly what makes this new tool so amazing. Not listed in components is the saw. Preemptive 5 stars because it's going to be game changing. Tell Ben I say hi.